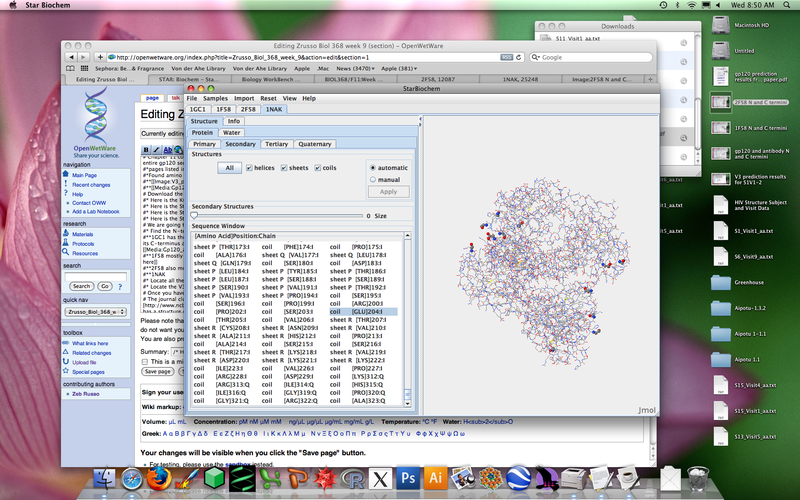 Convert your DNA sequences into protein sequences. I would do this using the tools on NCBI to translate each DNA sequence into each of its three reading frames, but there is no way to know which one is actually correct. 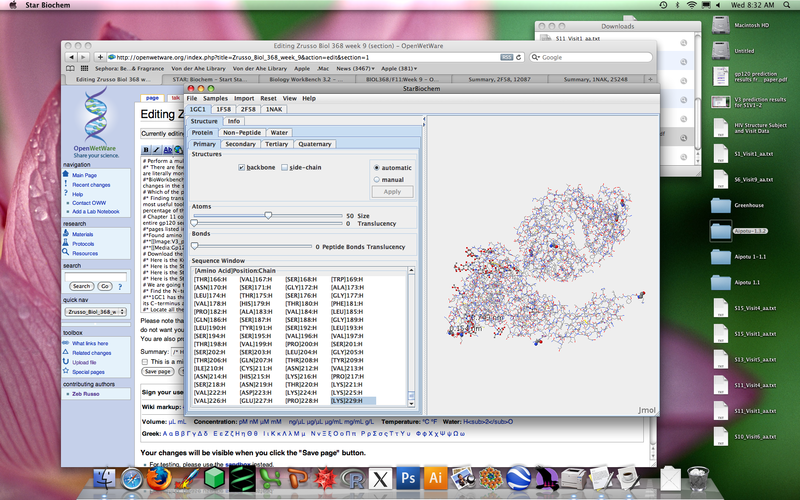 Perform a multiple sequence alignment on the protein sequences. There are fewer differences in the amino acid sequence compared to the nucleic acid sequence. This is most likely due to the fact that since there are three bases to each amino acid, there are literally more positions to line up. Also there is more than one three base codon for each amino acid so it can erase some base pair substitutions that mess up the alignment. BioWorkbench not only shows complete conservation of residues, but also conservation of 'strong' vs 'weak' groups which it defines separately. However we are only concerned with absolute changes in the sequence, not conservation of activity so any change of a residue is important to us. Which of the procedures from Chapter 6 that you ran on the entire gp120 sequence are applicable to the V3 fragment you are working with now? Finding transmembrane domains of the V3 region is kind of useless considering that the entire region is definitely outside the surface of the virion, so ProtParam would most likely be the most useful tool. If I were to use it I would look at each clone from each subject and see if the number of positively and negatively charged residues were different and if there was a greater percentage of the total V3 region that was more or less of a specific amino acid. 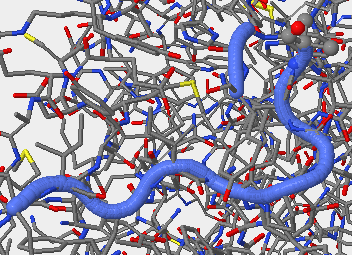 Chapter 11 contains procedures to use for working with protein 3D structures. Find the section on "Predicting the Secondary Structure of a Protein Sequence" and perform this on both the entire gp120 sequence and on the V3 fragment that we are now working with. 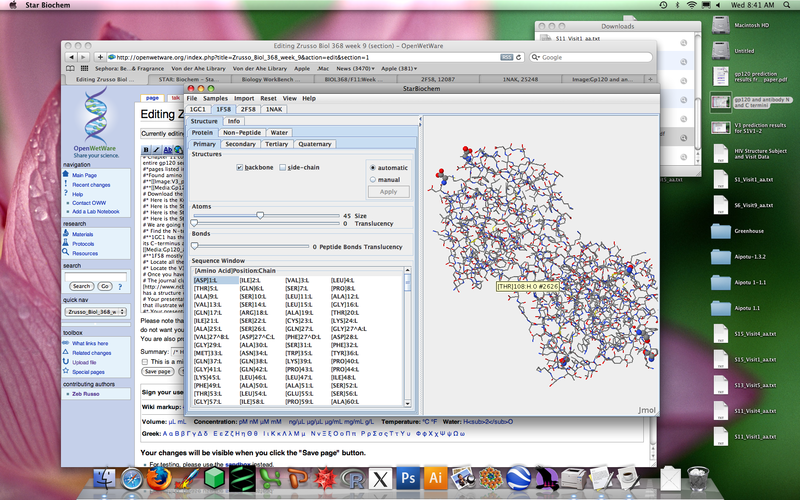 You will compare the predictions with the actual structures. 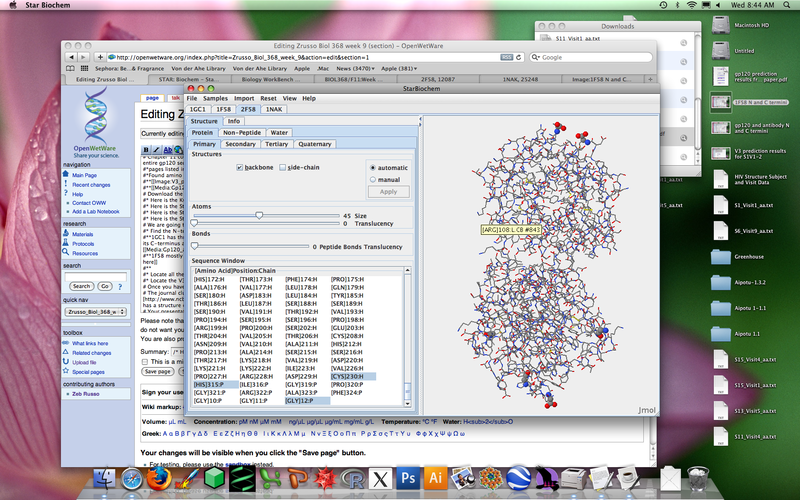 Download the structure files for the papers we read in journal club from the NCBI Structure Database. 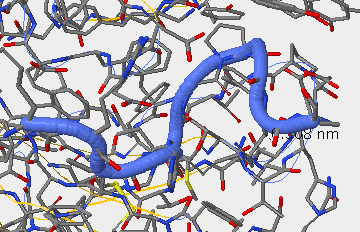 Find the N-terminus and C-terminus of each (poly)peptide structure. Locate all the secondary structure elements. Do these match the predictions you made above? The prediction from PSIPRED is pretty good, some of the residues however were associated with different secondary structures, however the overall ordering of secondary structure as well as the central residues in the secondary structures were intact, with issues only arising on residues at the edges of the sequence responsible for any specific secondary structure. Locate the V3 region and figure out which sequences from your alignment are present in the structures and which sequences are absent. V3 region from Kwong et. 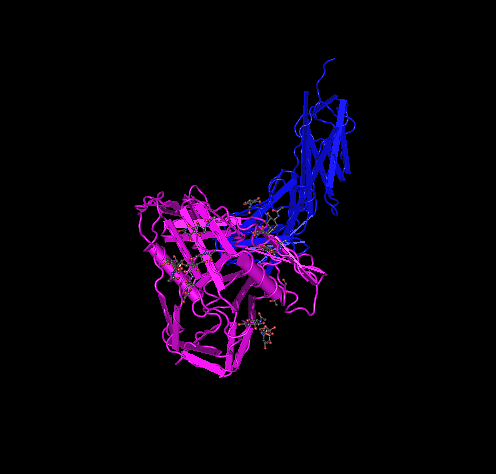 al PDB: 1GC1 is not present due to the fact that it was excised to make crystallizing the whole gp120 structure easier. Amino acids 300G-328G are missing and replaced with the 'gars' substitution. 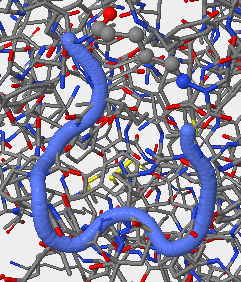 In between the coil (blue) and sheet (yellow) in the following picture is where the V3 region should be. 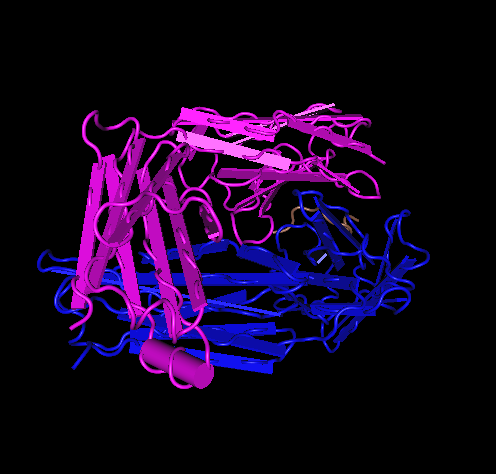 V3 region for secondary structure 1F58 is found 313P-325P. 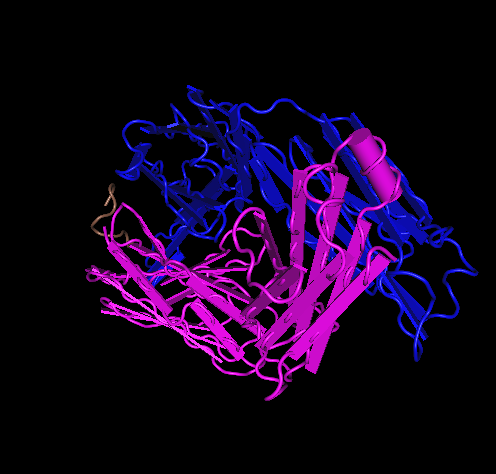 V3 region for secondary structure 2F58 is found 315P-324P. 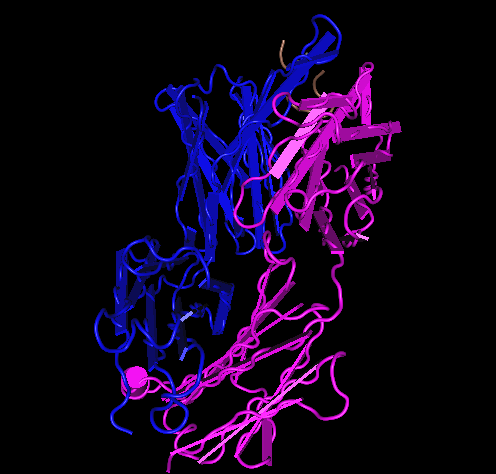 V3 region for secondary structure 1NAK is found 312P-323P. Once you have oriented yourself, analyze whether the amino acid changes that you see in the multiple sequence alignment would affect the 3D structure and explain why you think this. *:**:*   **. **: :. ****::  **** *.:. *:**:*   *:. **  :. ****::  * ** *.:. While all the rapid progressors showed only a difference of 1 to 17 aa difference between their first and last visits, showing rather good consensus within a certain subject. When compared to each other the Control Subjects 6 and 13 showed moderate conservation with a deviation of only 28 aa out of the 95. Comparing all the rapid progressor AIDS sequences to each other, only get ~40 aa that are completely conserved across the entire region. 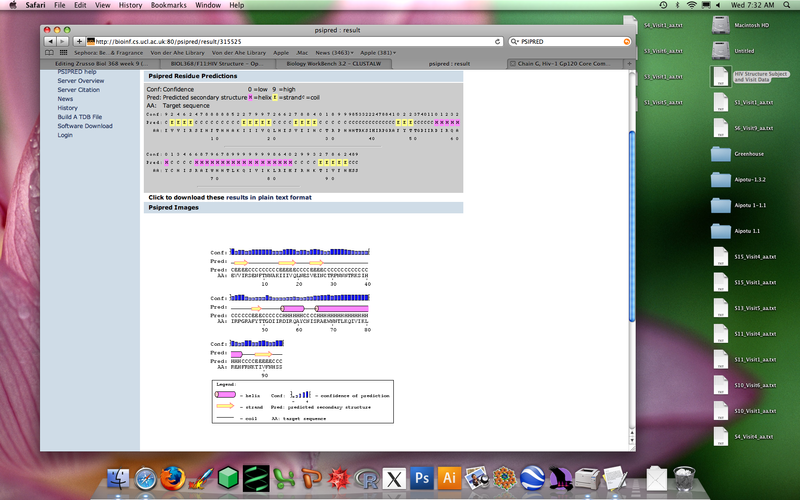 When comparing all rapid progressor AIDS sequences to each control sequence separately, as seen above, there is not a large difference in conservation seen. This indicates to me that the changes in the V3 region do not seem to help or hinder the pathogenicity of the gp120 protein on the virion coat. We decided not to use the short V3 region sequences from the Stanfield papers due to the fact that the Markham sequences are 95 aa long compared to 12-15 aa for the Stanfield papers so they are not long enough to do a good comparison of conservation. The journal club papers we read are quite old already for a fast-moving field. 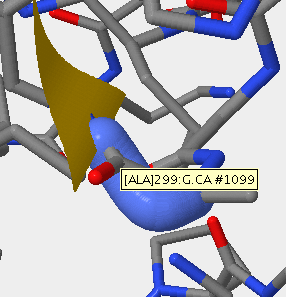 Using the Web of Science (or PubMed or Structure) databases, find at least one more recent publication that has a structure of gp120 (V3) in it and download the structure file to view. What additional information has been learned from this new paper? Your presentation for Week 10 will be formatted similarly to the previous HIV Evolution Project. In this case, you will want to work on creating structure figures that illustrate what result you are trying to show. Discussion and interpretation of your results in light of the new paper you found. Upload your slides to the OpenWetware wiki by the Week 9 journal assignment deadline. You may make changes to your slides in advance of your presentation, but you will be graded on what you upload by the journal deadline. Use these Presentation Guidelines when preparing your PowerPoint slides. Your presentation will also be graded on the following Guide to critiquing talks. This page was last edited on 1 November 2011, at 21:02.